A white shark’s acute sense of smell is legendary, allowing it to detect a potential meal several miles away — and giving pause to those of us who work and play in the ocean.But now humans can sniff them out as well, thanks to a collaboration between researchers from UC Santa Barbara and the U.S. Geological Survey, with colleagues from California State University Long Beach (CSULB) and Central Michigan University (CMU). Through developments in environmental DNA (eDNA), scientists — and soon, perhaps, any curious individual — can determine if white sharks have been nearby. “One of the goals of this research is for a lifeguard to be able to walk down to the shore, scoop up some water, shake it and see if white sharks are around,” said Kevin Lafferty, a USGS ecologist and researcher with UCSB’s Marine Science Institute (MSI). He is lead author of the new paper “Detecting southern California’s white sharks with environmental DNA,” published in the journal Frontiers in Marine Science. 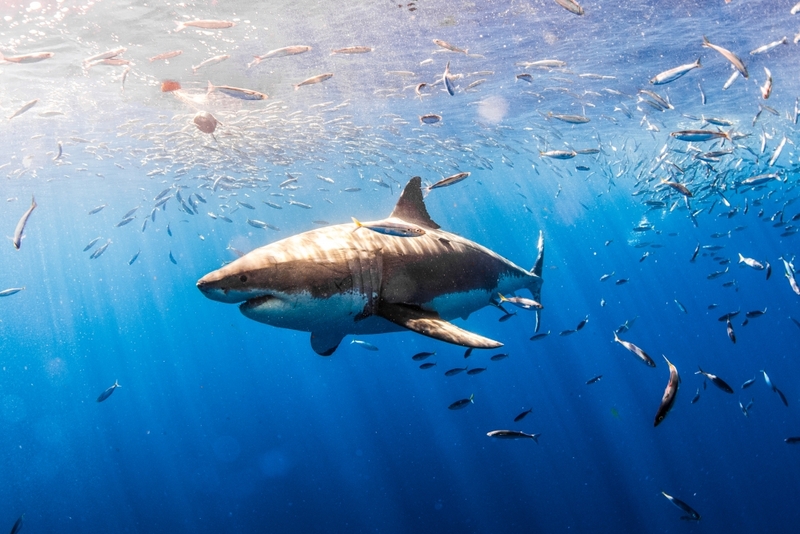 The team’s results add to a growing body of evidence that white sharks, which had been declining in numbers due to overfishing, have for the last several years been experiencing a comeback along the California coast. According to CSULB professor, white shark expert and study co-author Chris Lowe, the resurgence is due to the success of state and federal protections from fishing, recovery of marine mammal populations and better fisheries management.